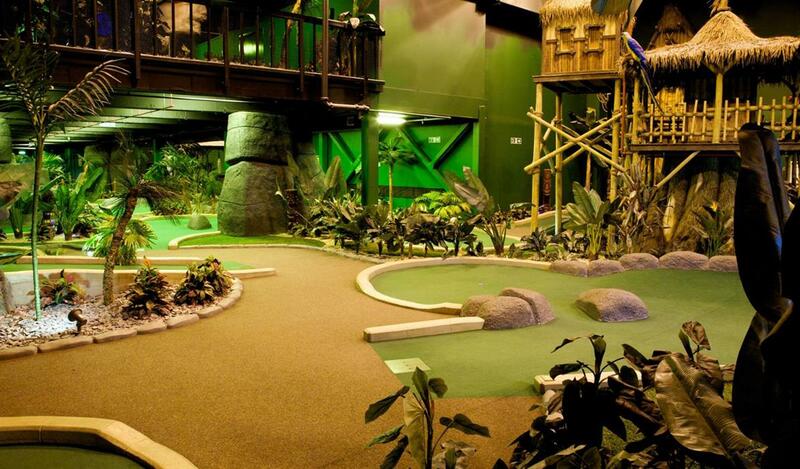 We've got 2 adventure golf courses taking up over 14,000 sq/ft over 2 levels! 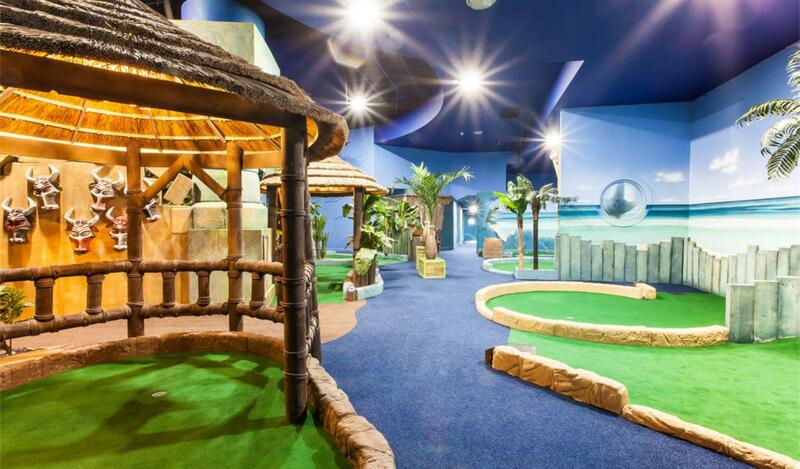 This new adventure takes you from the boat at the Caribbean Quay, through mysterious sea caves before being marooned on a desert island full of exotic palm trees and mystical jungle ruins! This truly is an adventure like no other! See exotic animals, statues and carvings alongs the way, just remember it's not the taking part that counts, it's the winning!